The differences between solid wood custom cabinets and cheaper cabinet alternatives are striking. Many homeowners have never experienced true custom cabinets and may be unaware of the huge impact that upgraded cabinetry can have on the look, functionality, and value of a home. Cabinetry often serves as the primary determinant of the style, quality, and budget of a home remodeling project, particularly in a kitchen. Cabinets deliver the “wow” factor and clearly differentiate a stunning custom remodel from an average or below-average project. 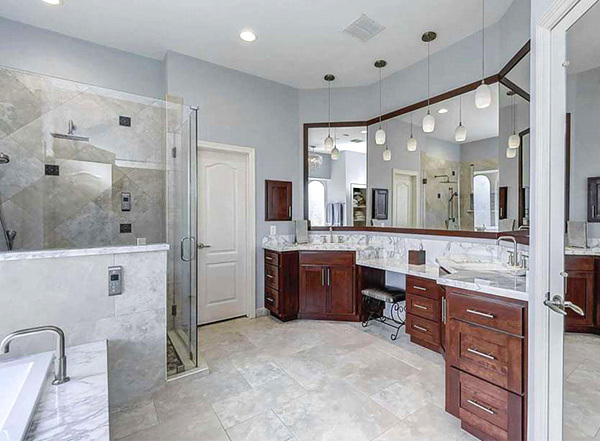 A contractor’s cabinet knowledge and capabilities likely indicate his or her approach to the entire remodeling effort. Therefore, if you’re considering a major remodel, here are a few helpful things to know about custom cabinets. Many contractors use the term “custom” far too loosely. Custom should mean, and you should expect, cabinets designed with only one house in mind — yours. However, cabinet companies produce pre-fab or semi-customized cabinets in high volume, with predetermined options for dimensions. Installers must use fillers and spacers to make the cabinets appear to fit your home. 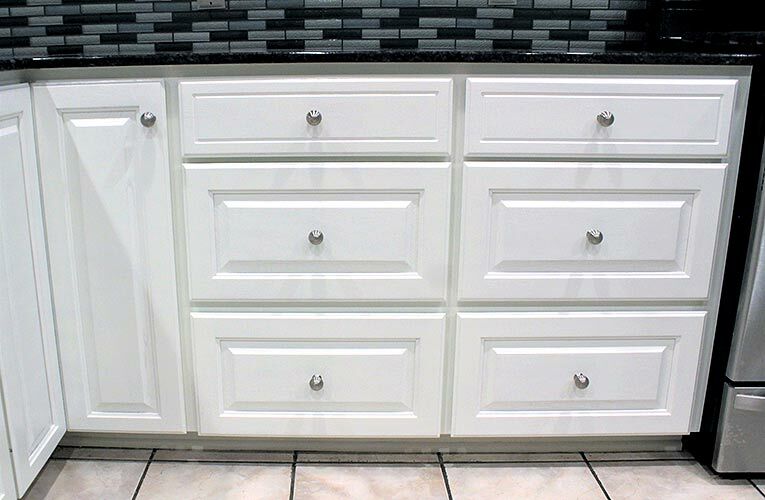 These gimmicks actually waste space and create awkward-looking gaps between cabinet sections. In contrast, skilled craftsmen measure custom cabinets specifically for your home prior to construction. Expert cabinet designers first listen carefully to your storage capacity and accessibility needs. 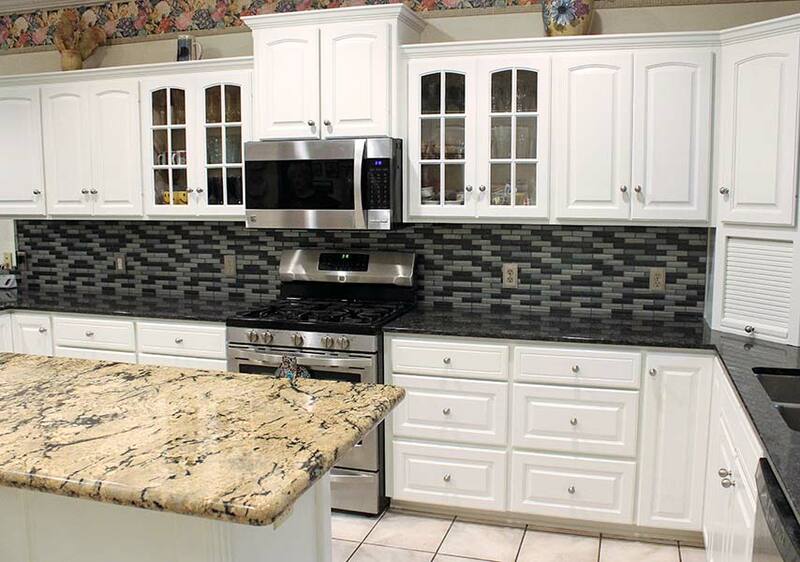 For a kitchen remodel, they will design cabinets to accommodate your preferred appliances and various kitchen goods. The cabinets in a bathroom remodel must allow space for the chosen sinks and faucets as well as linens and other personal effects. Experienced cabinet designers optimize every inch of space for functionality. Well-designed custom cabinets feature symmetry for aesthetic appeal. Fillers and spacers are not necessary. And, you have a wide array of choices for wood species, cabinet style, decorative trim, and stain or paint color. Custom cabinets offer numerous special features. Pre-fab or semi-custom cabinets may offer some of the same features. However, size and placement options will be limited. One of the most popular cabinet features in a kitchen remodel is a pantry cabinet with pullout drawers. Pantry cabinets with solid wood custom doors are more attractive than traditional walk-in pantry closets. Other custom cabinetry features that homeowners love include soft-close drawer guides, adjustable shelves, and vertical shelves. Lower corner cabinets with bi-fold doors eliminate dead space. Upper corner cabinets on a 45-degree angle improve storage capacity and accessibility. Pullout trash cans and pullout spice racks are also very popular elements of modern custom cabinetry for the same reasons. Custom cabinets not only increase the visual appeal and personalized functionality of your home but likely its value as well. A home with customized solid wood cabinets stands out amongst neighborhood comparables with pre-fab or builder-grade cabinets. For most home buyers, custom cabinetry represents a major upgrade compared to their current residence. The beauty, maximized storage, and durability are easily recognizable, so they typically will pay up for those benefits. So, you can not only enjoy the benefits of customized cabinets for yourself for many years but also reasonably expect to recoup a meaningful share of the investment down the road.